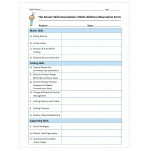 License: Please see right to reproduce license listed below. 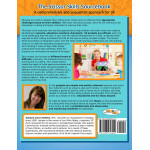 This sourcebook is for parents, educators, day care workers, occupational therapists and other therapy professionals who work with children. 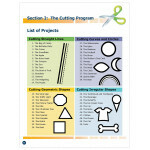 Allowing any child to develop their cutting skills comes down to offering them appropriate challenges based on their abilities, and having the strategies to solve common problems, as they come up. 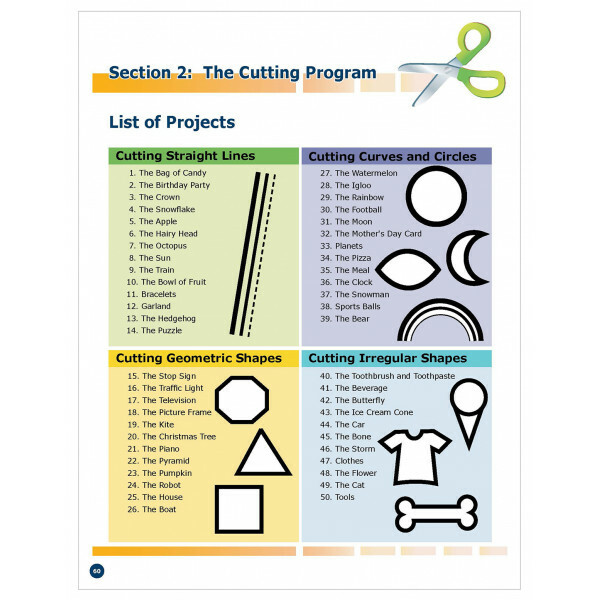 With each individual cutting success, the child will continue to be interested in cutting and highly motivated to improve their skills. 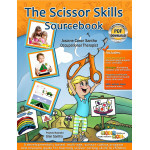 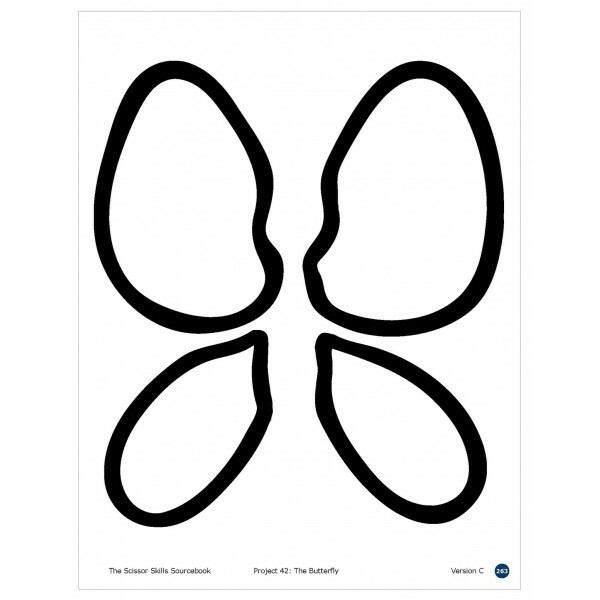 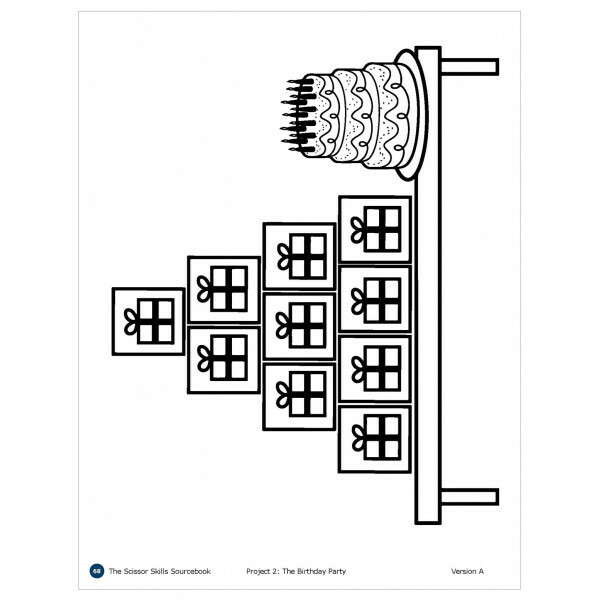 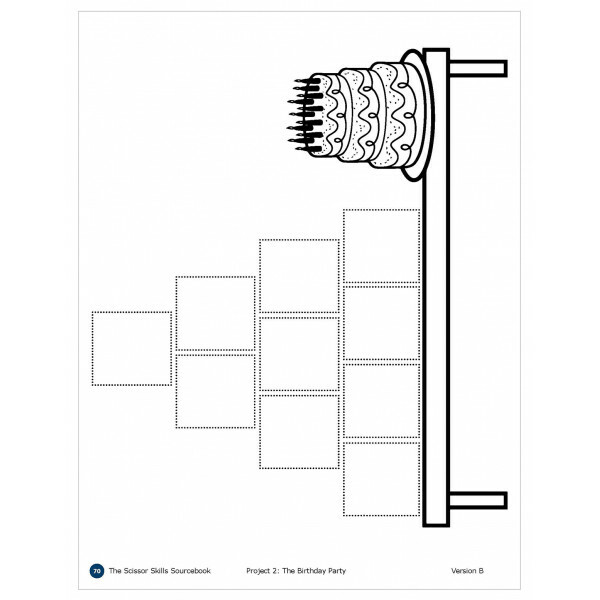 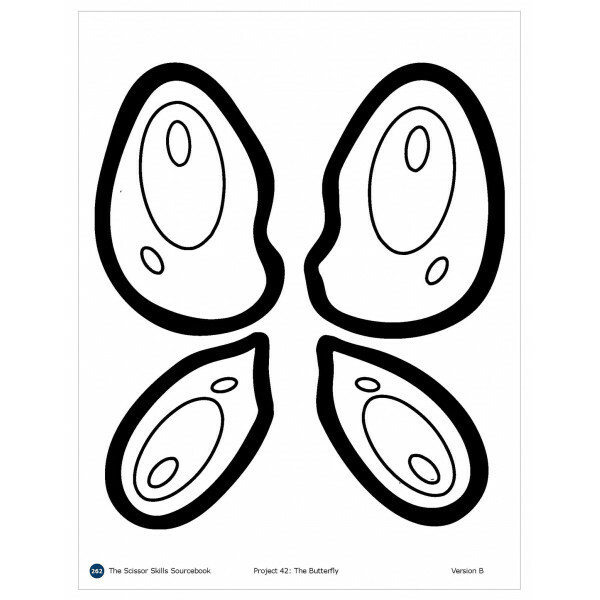 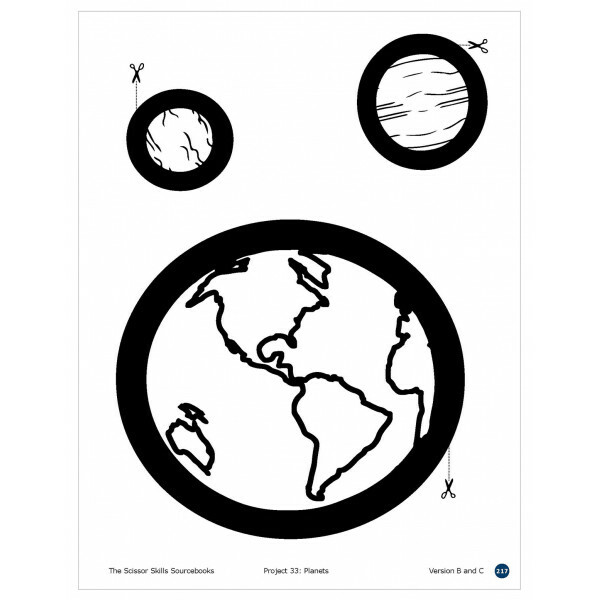 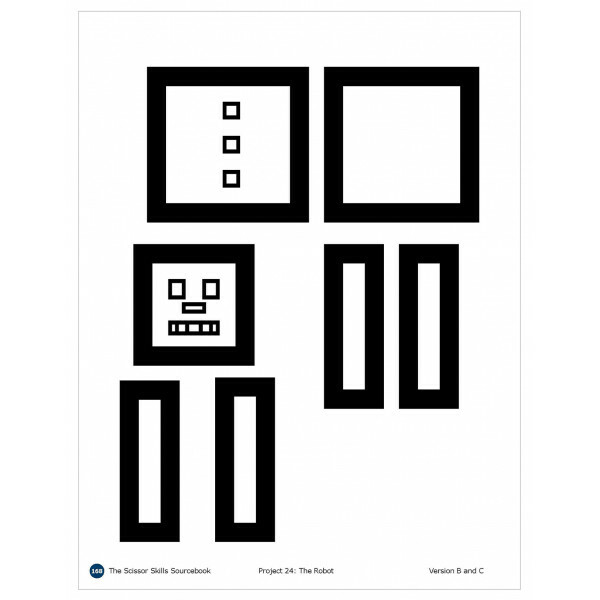 The Scissor Skills Sourcebook is an easy to use, fun to learn, developmentally based sequential order cutting program and resource guide that has been specially designed to help you introduce a child to cutting with scissors. 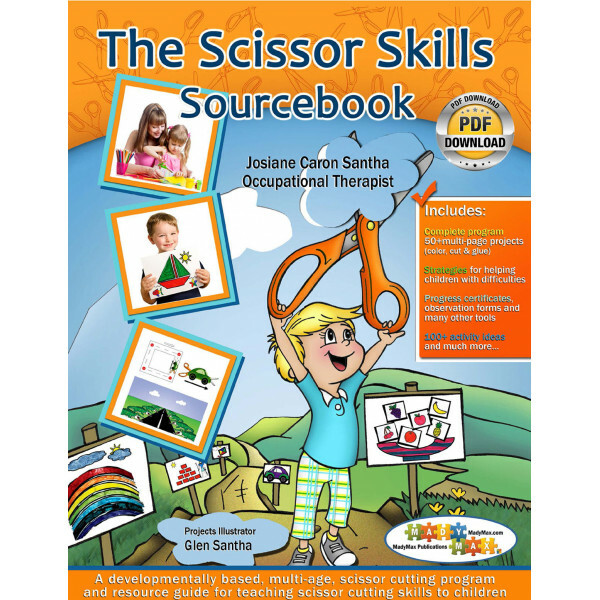 For children who are having difficulty cutting with scissors, it provides fun, easy to use strategies and solutions, for getting back on track to scissor cutting success! 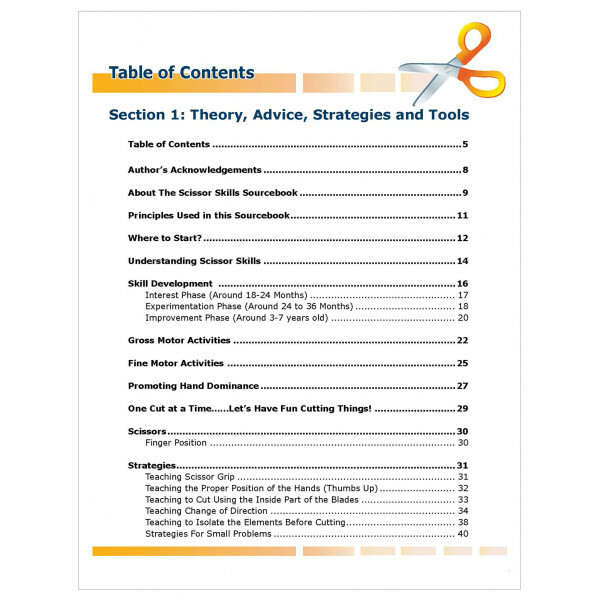 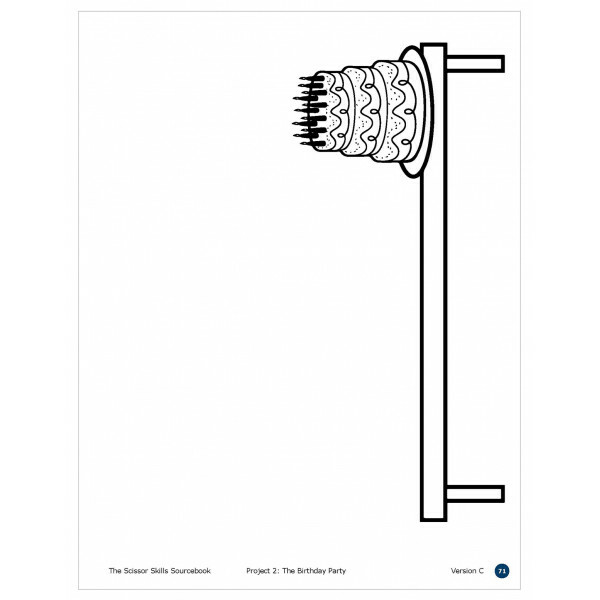 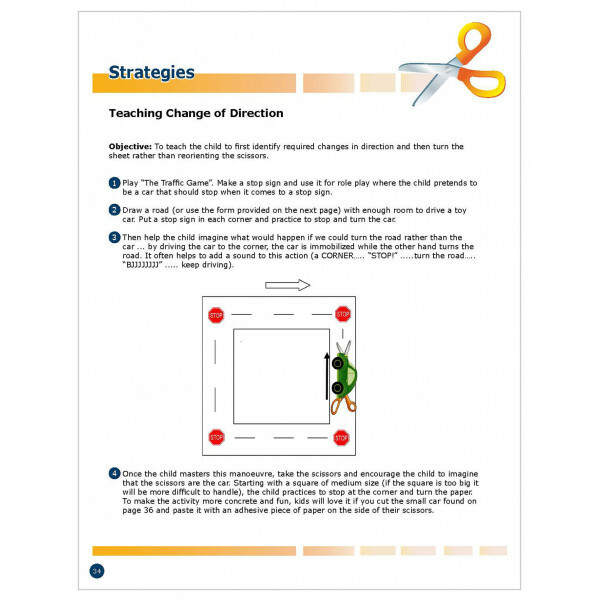 Professional knowledge, theory, fun exercises and activities, advice on what to do, how to do it, when to do it, and strategies for solving small problems. 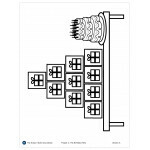 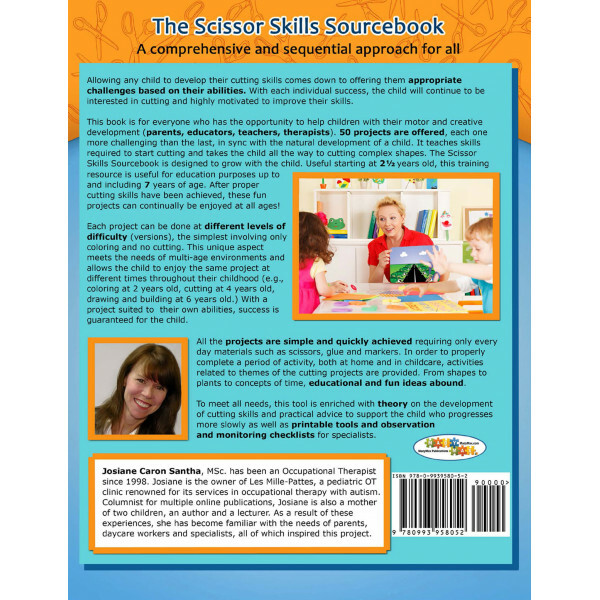 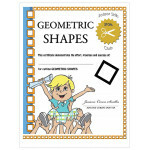 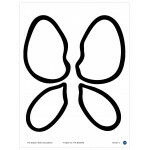 Includes: How to introduce a child to using scissors, cutting skills, development phases, gross motor activities, fine motor activities, hand dominance, finger position, and most of all, strategies for solving issues with scissor grip, hand position, changing direction, isolating elements, task management, and much more. 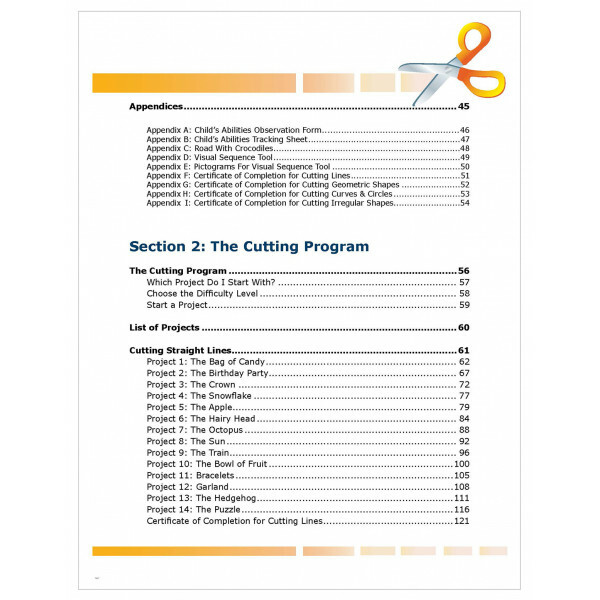 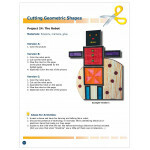 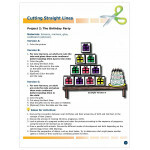 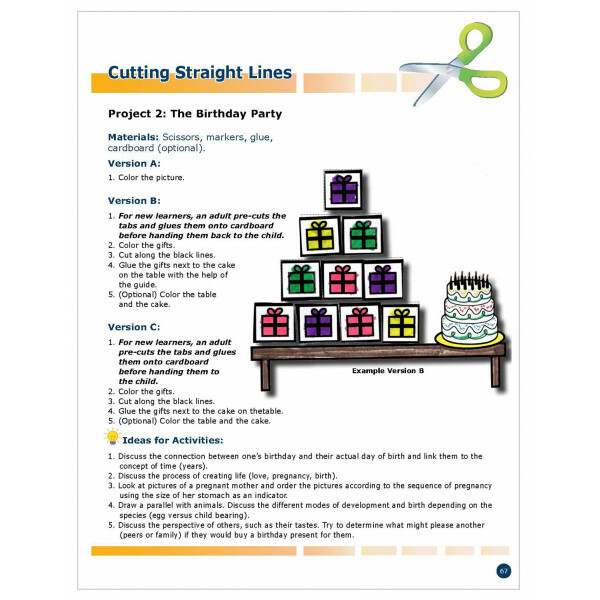 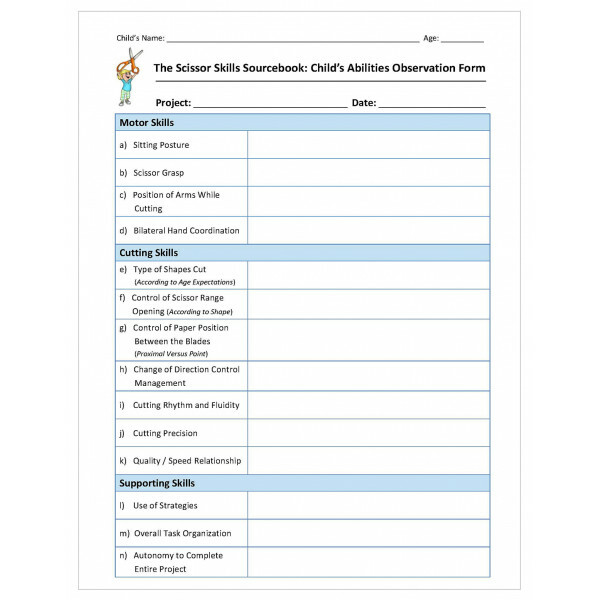 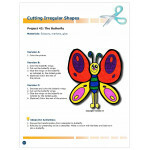 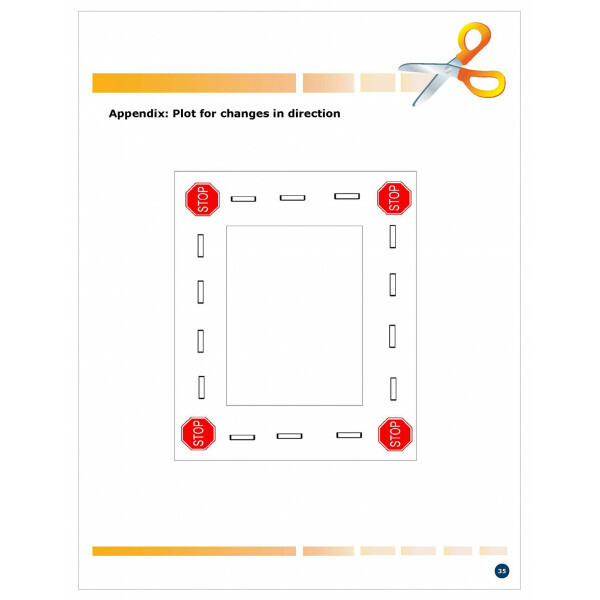 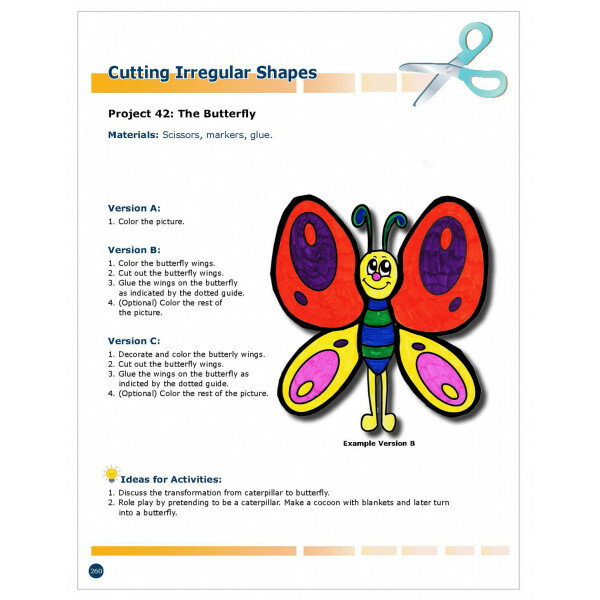 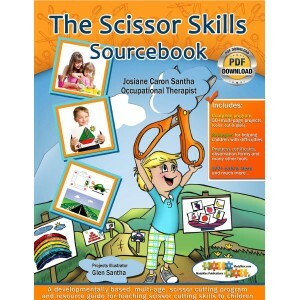 Includes 50 different scissor cutting projects, categorized into four different levels of difficulty, with each scissor cutting project subdivided into 3 separate projects depending on the age and competency level of the child. 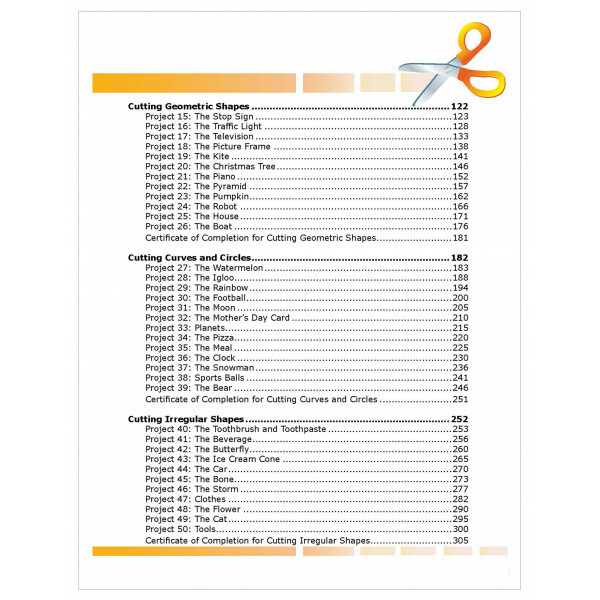 (For a total of almost 150 projects). 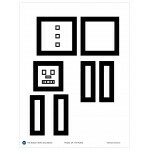 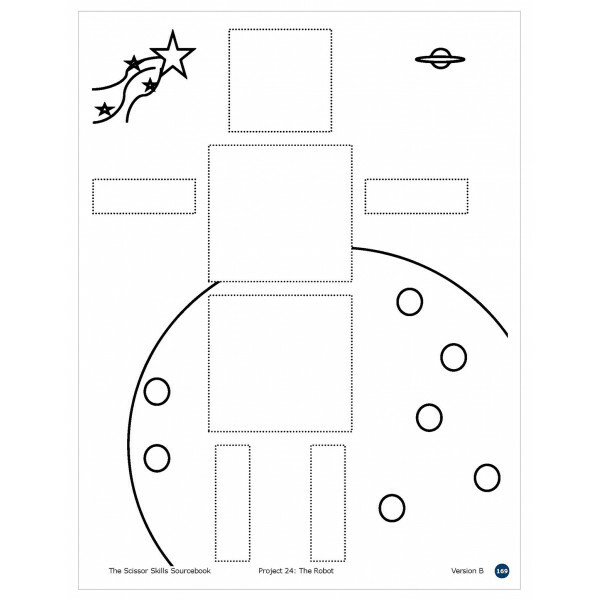 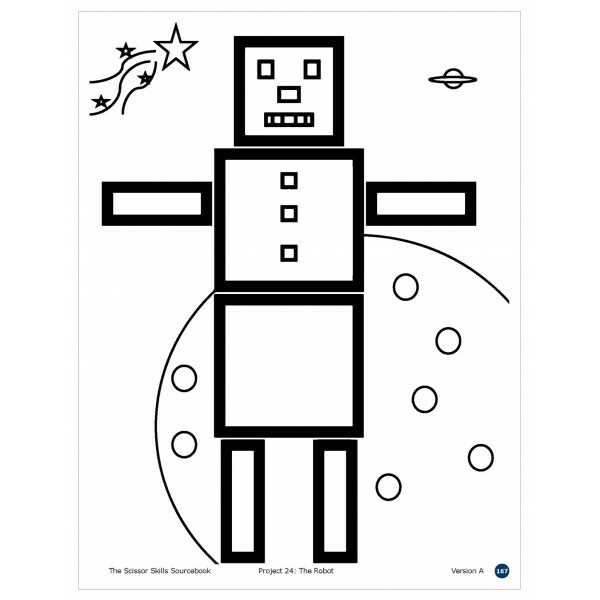 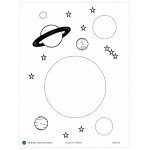 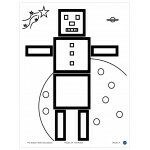 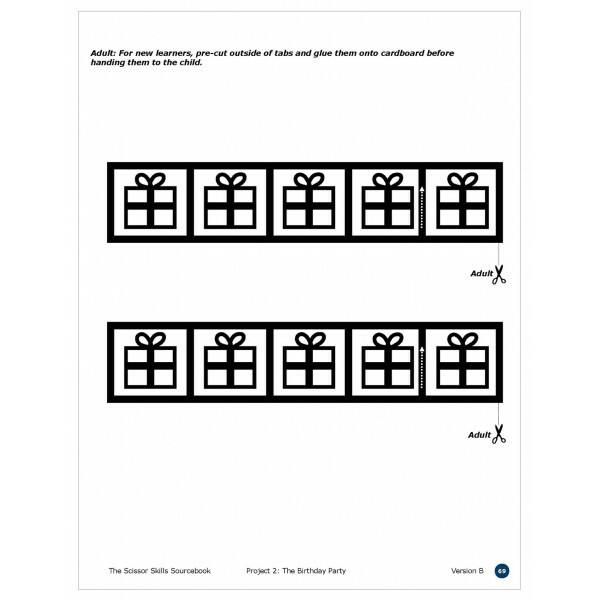 Multiple theme based activities are provided with each project to keep the fun going. 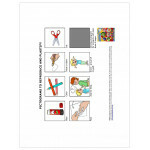 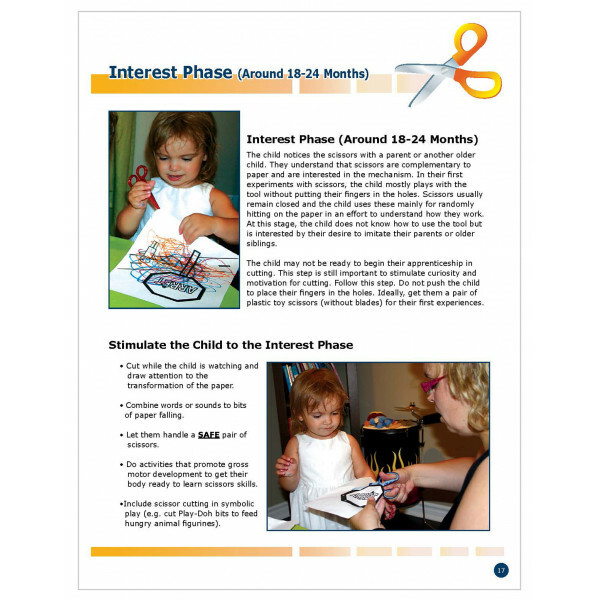 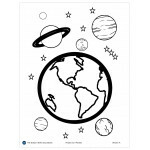 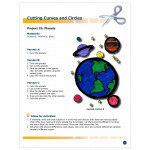 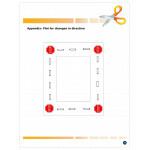 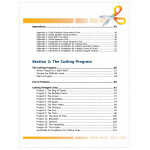 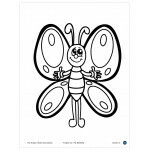 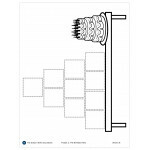 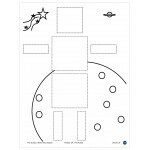 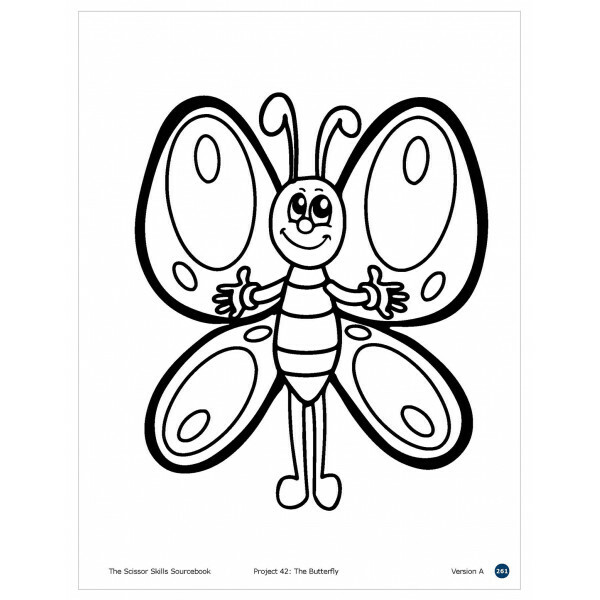 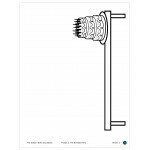 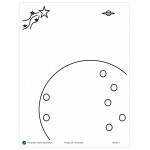 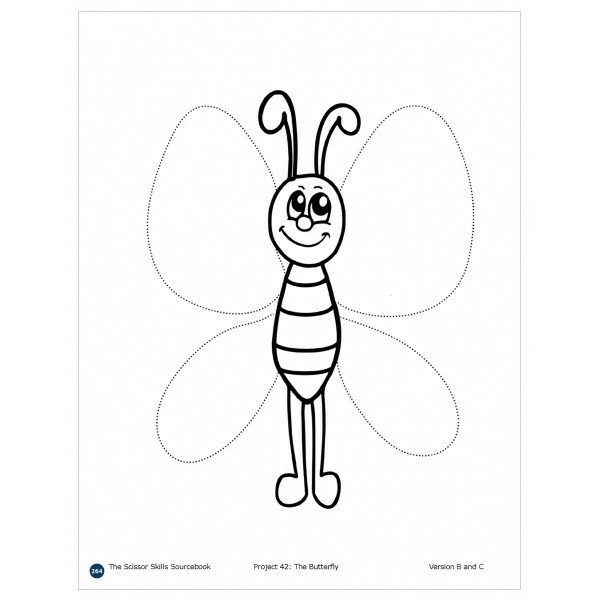 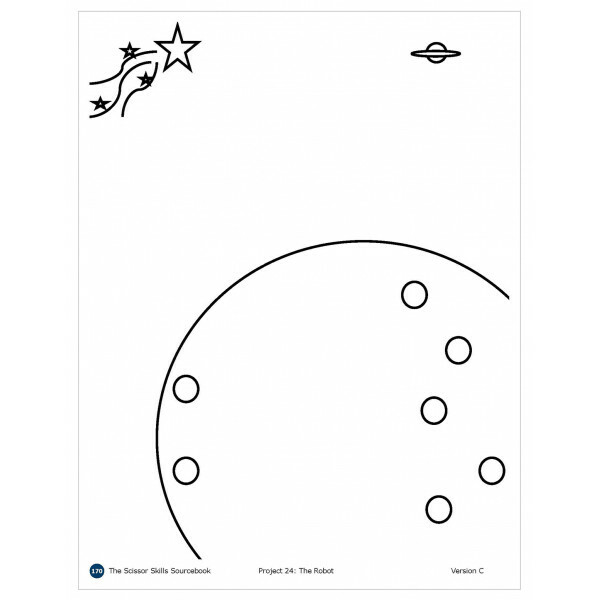 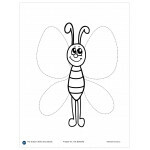 Each project includes a colorful instruction page with a picture of a completed project at the appropriate age level. 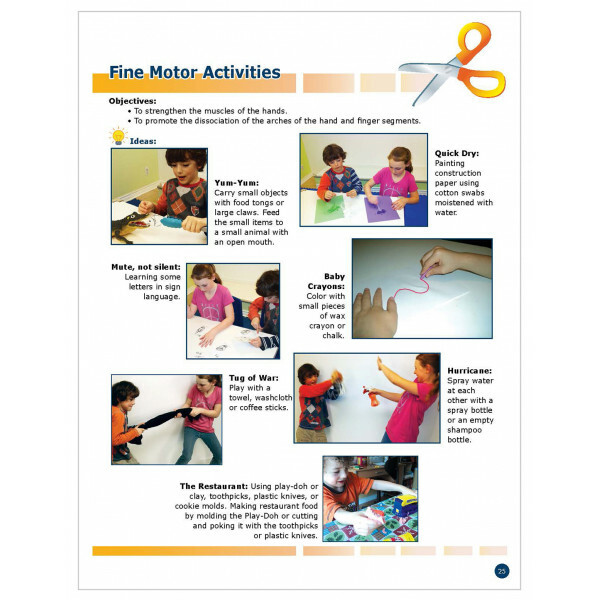 Each project has straight forward, easy to follow instructions, and includes fun activities to use at home, in a clinic or classroom, individually, and on occasion, in groups. 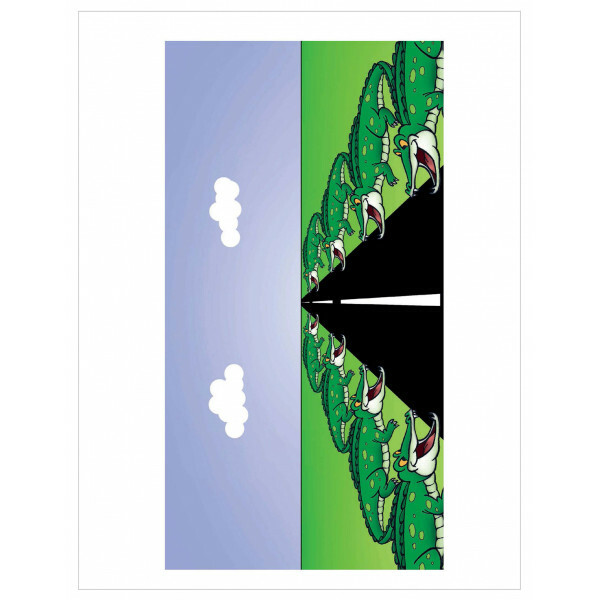 No exchange, credit, or reimbursement is accepted after the confirmation of a sale transaction for any digital or downloadable products.